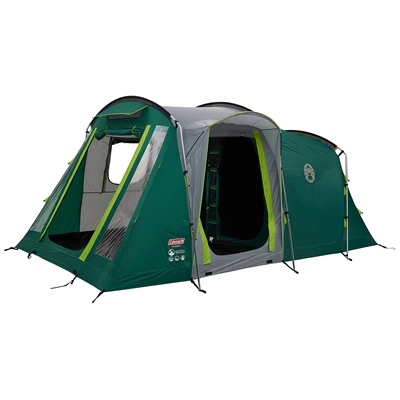 The Coleman MacKenzie 4 BlackOut combines comfort on the campsite with a spacious and rugged design. Extra Large bedrooms provide maximum sleeping space combined with BlackOut Bedroom® technology enabling sleep whatever time of the day. The generous full head-height living area can house a large table and chairs for family meals.